What is Sass and Compass ? Sass is a css pre-processor that helps you write more intelligent and efficient code. It comes in two syntaxes, .scss and .sass formats of the two .scss seems more popular; it’s essentially the same syntax as css but with extra functionality that sass provides. .sass is similar to ruby, it is white-space sensitive and strips out the semi colons and curly brackets that you see in css.So here below steps will help you to install Sass and Compass in Ubuntu. Compass describes it self as a css authoring framework, think of it as sass snippets or a library for sass. Whilst you don’t need compass to use sass it’s make life so much easer. 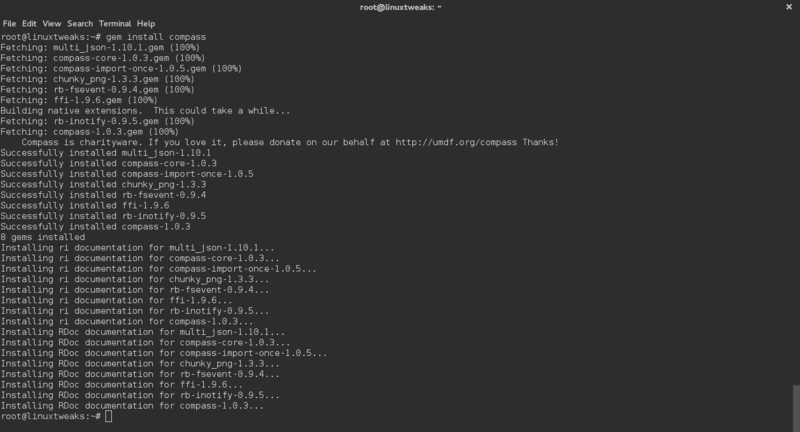 To install both Sass and Compass in Ubuntu or Debian you will first need to install ruby and ruby gems packages. Sass and Compass get installed as Ruby gems so you’ll need to have Ruby on your machine. 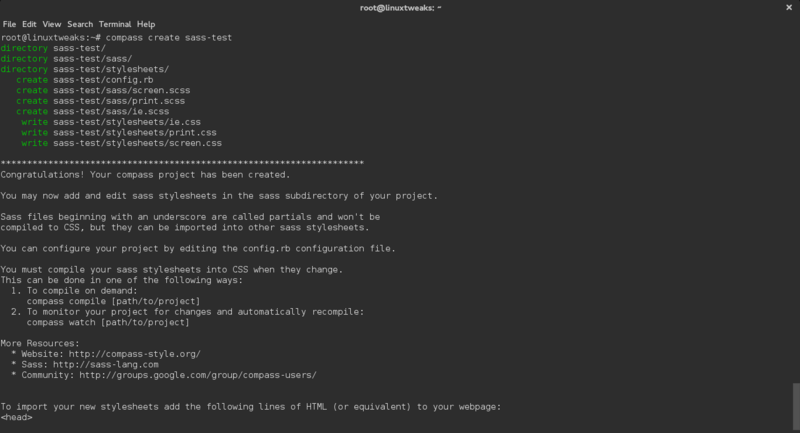 To create a test project with compass run the following command. To watch project for changes and compile the sass into css run the following command. You may also like to look into these sass libraries.